Three tables shown. See dimensions below. 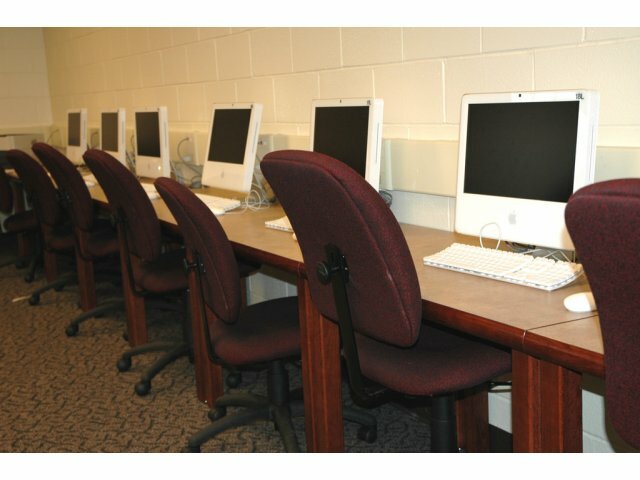 Perfect for Libraries & Computer Labs! 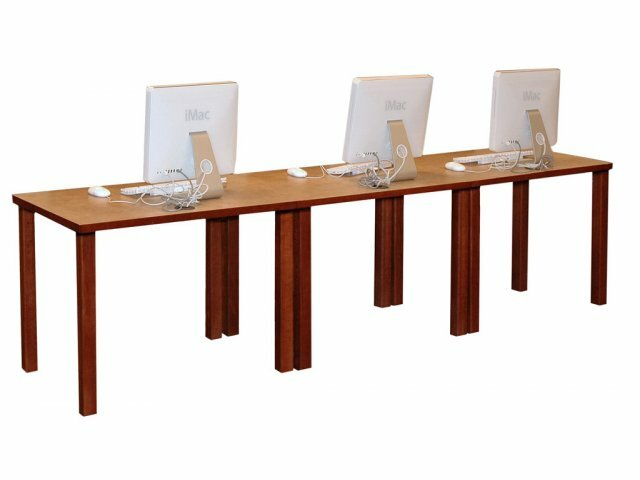 These Russwood Leg Based Computer Tables are just the answer to your needs. This sitting-height unit features grommets and wire management. FSC-certified (Forest Stewardship Council) wood available - please call us at 888-793-4999 for special pricing. Scratch-Resistant: Tops constructed of 1 1/8"-thick, 45-pound density particleboard core with High-Pressure Laminate and backer sheet. No-Bang Corners: Edgebands are 3/4"-thick solid oak. Strong: Legs are 2-1/4" glued-up solid oak with 1/4" radius on all edges. Tops have a 14-gauge V-shaped steel keel. Non-Marring Glides: Adjustable leveling glides included on legs. Solid & Sturdy: Legs attach to top with 1/2"-thick steel plate through the tabletop core. Convenient: Grommets and J-wire managers route cables and wires neatly and discreetly.